Eating healthy doesn't mean you have to cut out all of your favorite foods, you just have to try a few new things! 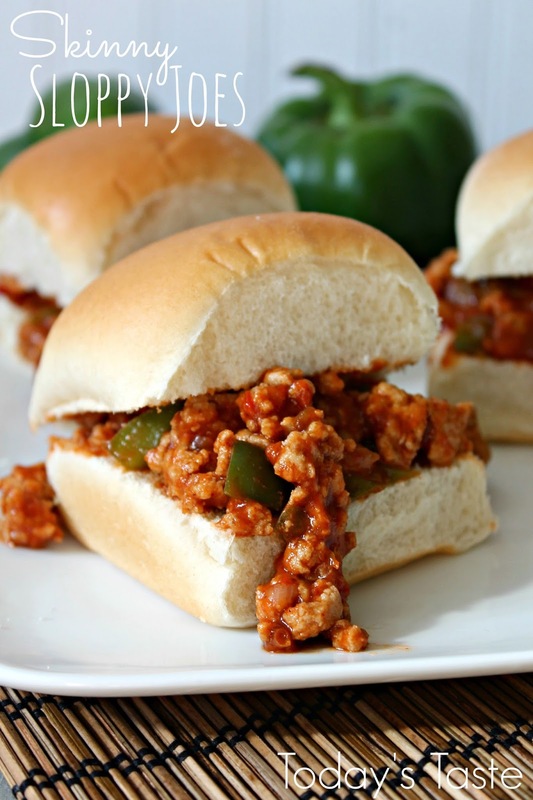 These Skinny Sloppy Joes are so easy to make and taste delicious! Heat large skillet on medium-high heat. Add ground turkey. When meat is browned, add onions and peppers. Make BBQ sauce in separate bowl while turkey, onions, and peppers cook. Mix brown sugar, vinegar, grill seasoning, Worcestershire sauce, tomato sauce, and hot sauce. When veggies are tender, add BBQ sauce to skillet, reduce heat to medium and cook for 5 minutes. Reduce heat and simmer for 5 more minutes. To make it even more healthier, try serving it on Whole Wheat Bread!